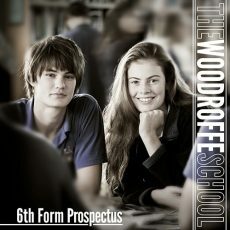 Welcome to the Woodroffe Sixth Form Application page. Applications for 2019 are now open. To apply, please click on the link below. The Sixth Form at Woodroffe opens doors to every possible type of university, employment or apprenticeship opportunity, and helps students decide on the best possible route forward to achieve ambitions. The majority of our students will select three A levels (studied over two years) plus one Enrichment subject to be studied in Year 12 only. Please complete the online form stating the subjects you are interested in studying (in order of preference) plus a fourth reserve option, along with all the other relevant information that we require. For more detailed information and advice on the application process, please refer to our prospectus.